This course provides a fundamental understanding of process safety techniques and how applying these techniques can improve safety, equipment reliability, environmental performance and reduce overall costs. It presents an overview of the elements comprising process safety, practical examples and how process safety can be integrated into day-to-day operations. Process safety is becoming increasingly important for maintaining the license to operate. The overall objective for process safety is to eliminate “loss of containment” events that can lead to fires, explosions or toxics being released. Implementation of process safety can result in greater equipment reliability, fewer process upsets, increased safety and fewer environmental incidents. The attendee will learn how the different elements of process safety can be easily developed and implemented for all types of E&P operations. The course is intended for facility, production and drilling engineers; supervisors and managers involved with the design, construction or operation of production facilities or drilling operations. The course is applicable to all operations including onshore and offshore operations. Mark Hansen, P.E., C.S.P., SPE, is currently the Director of Process Safety at Contek Solutions LLC located in Dallas, Texas. Hansen has more than 30 years of experience in Health, Safety, and Environment (HSE) and Risk and Quality Management. He has worked for a variety of industrial sectors including oil and gas, chemical, service, utilities, and insurance. Hansen has held manager, director and VP positions with companies such as Union Texas Petroleum, Weatherford International, EXCO, Range Resources, FTS (Fracturing) International, private equity group NGP Energy Capital, Dixie Chemical, and St. Paul Travelers Insurance. He has extensive knowledge and experience in all aspects of HSE, including PSM, EPA RMP, DOT, and Crisis Management; all requirements of EPA and OSHA and regulatory compliance; operational risk management and financial analysis applied to HSE; and ISO 14001 (Quality). Hansen holds a BS degree in Psychology with minors in Biology, Chemistry, Physics and English and an MS degree in Industrial Engineering from Texas A&M University. He is a Licensed Professional Engineer (P.E.) in Texas; a Certified Safety (C.S.P); a Certified Professional Environmental, Health and Safety Auditor (CPEA); a Certified Process Safety Auditor (CPSA), and a Certified Professional Ergonomist (CPE). Mark has authored more than 200 publications in journals, magazines, proceedings, book chapters, and has written three career development books. 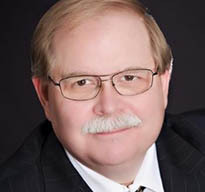 Hansen is the past president and fellow of the American Society of Safety Professionals (ASSP). He was the recipient of theIR Edgar-Queeny Monsanto Safety Professional of the Year Award for 1992-1993, and Culbertson Outstanding Volunteer Service Award for 1991-1992.